January 31st, the last day of the month, is one of those significant dates that mark the feast of Don Bosco. He would say, �It is enough for you to be young for me to love you and be genuinely interested in your well being. Your happiness is all I desire.� The occasion was celebrated with great spirit at the Don Bosco College, Panjim. After students were enlightened about the young saint during a mass celebration the previous day, fun and artistry took over the feast day. Youth competitions were held to encourage the students to spread the messages of Don Bosco. A rangoli competition, keeping in mind the theme, was held with color and enthusiasm on the floors on the campus. And sketching of the saint was yet another talent showcase competition organized by the life skill committee. The second year of BA Mass Communication students won the rangoli competition while Dipika Kumari of second year, BA Mass Communication bagged the first place in sketching the saint. 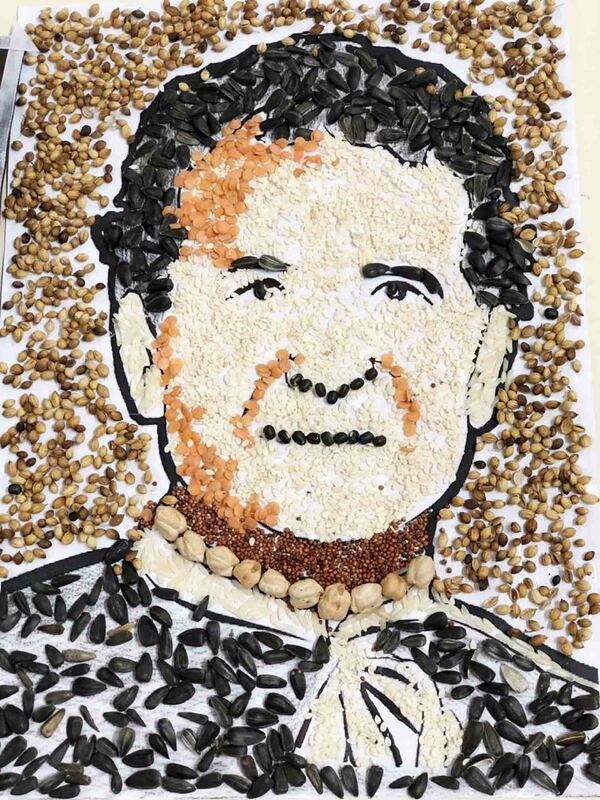 Creation of Don Bosco with the help of Rice and other grains was an interesting task conducted where utmost originality and passion were seen by young hands. The third year of Business Administration students, won first place in this competition. The day was all about heart for the young and youth being a part of a worldwide family.